Patricia M. Mahon is a native of New York and a dual Irish and American citizen. She attended Manhattanville College in Purchase, NY (BA); St. Clare's Hall in Oxford, England; and Trinity College in Dublin, Ireland (MA). She completed doctoral coursework in English Literature at Tulane University, the University of Arizona, and the University of Denver where she also taught both Poetry and Writing. Mahon attended the W.B. Yeats International Summer School in Sligo, Ireland featuring world Yeats scholars and distinguished poets. In 2000, her original Irish stage-play, The Abbey Yard, was produced at The Odyssey Theatre in Los Angeles. In 2004 The Abbey Yard was adapted into a screen play and won a Platinum Remi Award at WorldFest Houston. In 2010, The Abbey Yard was also adapted into an original novel. Mahon has written four, original film scripts in different genres: “But That’s Not All” (Comedy, 2003), The Abbey Yard (Fantasy, 2004), Selling Life (Drama, 2005), Kentucky House (Thriller 2013). Each have been festival finalists or award winners. Stories from the Age of Distraction: The Island, Volume 1 is a contemporary literary fiction novel written by Patricia M. Mahon. After growing up to the sound of her author mother's typing on her old IBM and pursuing graduate studies in literature, Morgan Byrnes is now a writer herself, though not exactly as she had intended. She's 35 and works as a corporate speechwriter by day. By night, she still harbors the literary spark which she shares with her best friend, Percy Chadwick. One night, she types a few lines on her Facebook page and is pleased when she receives his response, a continuation of her story prompt. Then she's amazed to see more responses scrolling down her screen and, with each response, her story grows and evolves and becomes alive. The posters are people she's never been in contact with, and they're from all over the world. It's an exciting concept, seeing how they all somehow transcended the impersonal mode of the digital age and became part of that ancient tradition of story-telling. And with that spark of inspiration, Morgan comes up with a plan. Patricia M. Mahon's contemporary literary fiction work, Stories from the Age of Distraction: The Island, Volume 1, is the stuff of dreams. Her heroes, Morgan and Percy, set out to reclaim oral traditions by venturing into the digital domain. Their quest is an ambitious one, and the only open door is through a former roommate of her brother. I had a marvelous time following these otherworldly dreamers as they reach out into the ether and find kindred spirits -- hundreds of them. The stories that evolve are marvelous and work perfectly with the continuing saga of Morgan and Percy. This work within a work is beautifully scripted with characters who quickly seem like friends and whose quest becomes a universal one. Stories from the Age of Distraction: The Island, Volume 1 is edgy, original and very compelling. It's most highly recommended. In Stories from the Age of Distraction: The Island by Patricia M. Mahon, speech writer Morgan Byrnes and her longtime friend and teacher Percy Chadwick are devastated that the art of “talking” or “storytelling” is dying with the new age of technology. Their generations are slouched over their tabs and phones, but no one is actually writing about their era. The thought of no future generation finding out about their era is unacceptable for them. Patricia M. Mahon has done a brilliant job with a topic that has created a constant debate in society. With the age of “virtual society,” people have been losing connection with their loved ones. 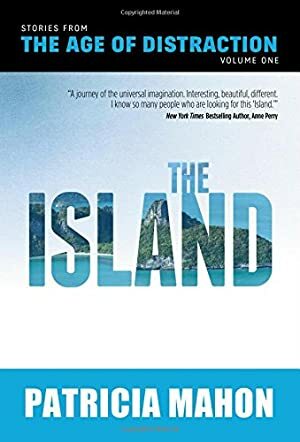 Stories from the Age of Distraction: The Island not only raises voice about the topic, but she actually gives us a solution to the distractions of our age. I really enjoyed that, especially the linguistic abilities of the writer. She made me fall in love with words once again. A really good novel.